Contributions rate is likely to go up as it is now not enough to meet our needs due to our aging population. The current 6.5% to 9% contribution is not enough to build up reserves to pay for huge medical bills and long-term care. We must always save for our future as we cannot predict what will happen in the future. The likelihood of us falling ill for a longer period in our lives will increase as medical technology increases. But the question comes, is there sufficient savings for it? If not what will happen to you? To your family, love ones? Her grin was so sheepish, the tone so apologetic, you'd think she was asking me for an extension on a long-overdue loan instead of recommending something as useful as travel insurance. Unfortunately, insurance is one topic - like religion and politics - often avoided like the plague. You're never sure if the person you're recommending it to is going to thank you for thinking ahead or thunk you for jinxing his holiday plans. People don't mind insuring their luggage against loss, but health insurance means you actually have to entertain the idea that you could get seriously hurt or sick. And that's like putting the fly in the ointment, the cold water in your warm bubble bath, the pop in your happy bubble. But as last weekend's tragic events at Rottnest Island involving Singaporean diver Serene Teng show, it's not about being jinxed - it's about being prepared for anything. What happened to Ms Teng and her family is tragic enough without the spectre of a huge medical bill at the end of it all. A Royal Perth Hospital official revealed that one day in the ICU room costs $4,850. Serene has been inside since Sunday. 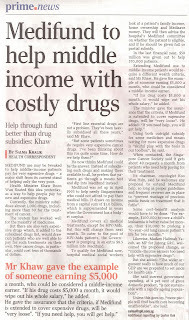 That amount doesn't include medication or specialist treatments like MRIs and CT scans. Her flight from Rottnest to Perth cost around $1,200, and every ambulance ride she had to take would cost between $580 and $660. Australians are renowned for their compassion and generosity, but even so, there will be some out-of-pocket expenses. Nobody likes to think about being injured. For the superstitious, simply buying insurance is an open invitation to your stars to fall out of alignment and hurt themselves - and you - in the process. But it can, and it does, and hoping it doesn't happen to you or thinking that a two-week trip would be about as risky as eating an apple is just plain fantasy. The crown from one of my mother's teeth fell out when she bit into an apple during her visit some years ago. And on another trip, she caught the most horrific flu and ended up paying close to $150 for treatment and medication. Having lived in Perth for 14 years now, I have heard so many horror stories of Singaporeans involved in accidents. I have even seen for myself first-hand, from those who have visited our church, the immense pressure that the money question imposes on emotions already strained to bursting point. And I have friends who have paid thousands overseas because a son had to be admitted to hospital for food poisoning or hundreds for dental treatments that would have cost only $60 back home. 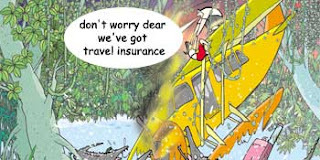 When you think of how little travel insurance costs compared to that, it doesn't make sense to leave home without it. What do love and life insurance have in common? More than you might realize. The main reason you buy life insurance is because you love someone. Think of it as the ultimate act of selfless love. The following is a guide to help you determine how to allocation can be done for your portfolio based on your stage in life. This is only a guide; your portfolio may look quite different because of your circumstances, risk tolerance, or other factors. The reason for this gradual shift away from stocks is that, as you age, you have less time to make up losses you may incur in stocks. If you go through a bear market in your 30s, you got decades to recoup your losses, and chances are good that you will come out way ahead in the long run. But a bear market in your 50s or 60s can seriously damage your nest egg and may even derail your retirement plan. - Because you can expect to live longer in retirement that your grandparents did, you need to have at least some growth in your portfolio to stay ahead of inflation. - Stocks and bonds tend to move in opposite directions, so even when you are retired, you want to hedge your bets against low bond yields when stocks are setting new record highs. If you are married and counting on only one retirement plan to see you through your post-work life, you are still putting all your eggs in one basket. Divorce, illness, or death can leave on of you with little or no income. Each of you needs your own retirement plan for financial stability. The most important thing is to avoid putting all your eggs into one basket. Even if you are in your youth and retirement is decades away, you will still need some cash and bonds in your portfolio to counter the risk you take in stocks. REITs can be there to help protect you against the effect of inflation which can significantly devalue your cash and bonds. Being too conservative with your investments is as risky to your long-term financial health as being too aggressive. If you take too much risk, you could lose most or all of your savings. But if you are too conservative, your savings become vulnerable to inflation, and between inflation and taxes, you risk dooming yourself to a lower standard of living in retirement. What do financial advisers do with their own money that most individuals don't do? I can't speak for advisers as a group, but I can give you a selection of insights into my own strategies. But bear in mind that these approaches may not be suitable for everyone. Almost everyone has a need for a safe place for cash. However, fixed deposits are not on my shopping list. I would use a money market fund instead. A unit trust that calls itself a 'money market fund' must comply with strict guidelines on quality, issuer and tenure. The result is a low-risk investment that easily outperforms a fixed deposit if you can live without a guaranteed return. Currently, a 12-month fixed deposit promises you a paltry 0.45 per cent or so. In contrast, the LionGlobal SGD Money Market Fund is averaging around 1.3 per cent and the Phillip Money Market Fund around 1 per cent. At least, I try to. If you can keep your nerve, crises are good times to buy equities. During the second half of 2008, I built up a six-figure investment in the Legg Mason Southeast Asia Special Situations Fund. That decision didn't look too smart in March last year but is now booking a healthy profit. Why this particular fund? It has a high beta (moves rapidly compared to the broad market) and the fund manager seems to benefit more than most from rising markets. Importantly, though, I keep my overall exposure to equities comfortably inside my personal risk threshold. So even if things go wrong, it won't be a disaster. Unlike many of my clients, and possibly fellow advisers, I rarely buy individual stocks. The reasons are twofold. First, once you start looking at an individual firm, you have to do your homework extremely well. This can be very time-consuming, if done properly. Unlike the risk of an index or well-diversified fund, company risk comes in a myriad of flavours. Second, when I do have a strong view on a firm, I am more likely to buy options than shares. Options give you the ability to take many different positions: optimistic, pessimistic or looking towards a certain pattern of future price movements. Options also allow significant profits to be made through their inherent leveraging. It's not extraordinary to have returns of 100 per cent to 500 per cent (or a loss of 100 per cent). My rationale is: If you have a strong conviction on a counter and have put in the effort to research it, then don't bother with the stock - go for an option. I would buy options on United States stocks. If you want broad market exposure, buy exchange traded funds or unit trusts. VIX is short for the Chicago Board Options Exchange Volatility Index, a measure of implied volatility. It is sometimes called the 'fear index', and is generally high when there is negative sentiment in stock markets. During the recent crisis, the VIX hit 80, compared with its more usual range of 10 to 30. It is possible to buy this index by using VIX call options, effectively betting on rising fear. These call options will rise in value as the VIX rises. This is a strategy I have successfully deployed in the past three to five years. Sadly, I did not have the imagination in 2008 to see the VIX surpassing 80 (thinking that a level of more than 40 was already too pricey). However, one missed opportunity doesn't invalidate the approach. Over the short or medium term, the current rate of 4 per cent on the CPF Special Account (SA) is an extremely good deal on a risk-reward basis. The only rational justification for eschewing the 4 per cent and investing under the CPF Investment Scheme is to have a very long horizon and choose a fund with as much equity exposure as is allowed. An important point here is that returns must be viewed in the context of their risk. A 4 per cent return in Singapore dollars with no risk is great. It's been fashionable in the advisory industry to knock whole life insurance. But the smoothing ability and long-term investment horizon of insurance companies shouldn't be sniffed at. A whole life plan is a good instrument to diversify your portfolio and can insure you for life to boot. However, if I were looking for only protection, I would certainly include term plans in the insurance mix. Anyone intending to buy a car should try to avoid or minimise a car loan, as they are much more expensive than they may appear. 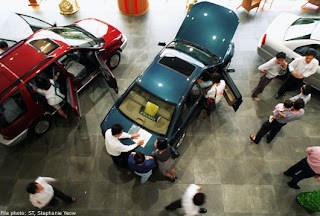 A typical car loan at 2.45 per cent represents an effective borrowing rate of almost double, around 4.65 per cent. Why? All the car loans I have seen charge interest each year on the full amount borrowed, rather than on the balance outstanding. If you avoid borrowing at 4.65 per cent, that is equivalent to investing in a product that guarantees you a 4.65 per cent return. Such a product would be a smash hit if launched today. 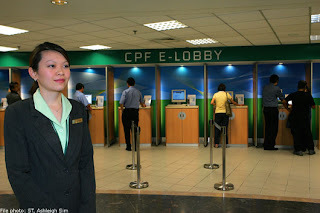 Hence, not taking a car loan beats even the CPF SA savings rate. No one I have heard of forecasts markets accurately and consistently, nor has anyone been able to create a reliable model of economies. Moreover, the past is a poor guide to the financial future. Investment guru Warren Buffett reportedly said: 'If past history was all there was to the game, the richest people would be librarians.' It's best to take the view that over the short run (for example, the 12 months of this year), there is a huge random element affecting the outcome of the economy and stock markets. The art of investment starts with the calm acceptance that you don't know what is coming next. The writer is the chief executive of wealth management firm dollardex.com. MONEY cannot buy love but it can buy happiness. The topic of money is one of the most important in our lives. Preoccupation with this subject is universal, since it is of concern to nearly all humans. Even the Bible expounds at great length about our attitude towards money and our responsibility towards its proper stewardship. The main cause of divorces around the world has been shown to be argument and struggles over money. I have also seen people who have gone from riches to rags, and from rags to riches. Ironically, money has no bearing on the degree of joy, as joy is a reflection of contentment. Money, however, does have a significant impact on happiness because one can buy temporal happiness with money. Just think of a man who becomes happy when he gets his hands on the latest fast car or gadget, or a woman who can't stop smiling, with the coveted 'it' bag of the season on her arm. In the past 20 years, I have made my fair share of mistakes in investment. I went through the 1987 crash, the 1998 currency crisis, the 2000 technology bubble, 2003 Sars and the 2008 Great Recession. Having gone through all these, I realised that success in investment depends on many facets. It is both a science as well as an art. More importantly, one's ability to manage fear, greed and risk will determine whether you invest successfully. Successful investing also involves the discipline of sticking to a long-term strategy planned to achieve your goals, together with an appropriate short-term strategy for the season; in other words, there is no short cut in investment and there is no magic formula. There are many successful investment gurus whom we can look at to acquire knowledge and whose wisdom we can ride on for financial success. I will share some of the wisdom that I have picked up over the years. If you want to prosper, investigate before you invest; short cuts do not work well. I once invested in a very promising health-related business that had strong sales and a loyal following. 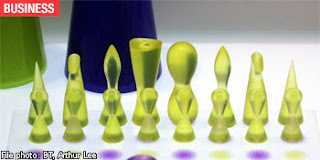 However, the company lacked experience and strong management capabilities. The company expanded too fast and eventually had cashflow problems. I learnt from this investment that investing in other people's business carries the highest risk, and good management is more important than a good business. To achieve success, be a realist with a hopeful nature. John M Templeton once said, in investment work, you cannot afford to be an optimist or pessimist; if you are going to succeed, you need to be a realist. It is human nature to lean towards either extreme as we are easily influenced by sentiment and public opinion. It is tougher to be a realist. A realist is someone who has evaluated the facts and figures (which requires hard work) and has arrived at an objective view. A realistic person accounts for the possibility that he could be wrong if certain scenarios do not take place. When that happens, he would not be too stubborn to change position and admit his mistakes. David Stockman, ex-president Ronald Reagan's budget director, said that when the basic direction of reality changes, you have got to get with it. Manage your risk and learn to ride through tough times. I once met a billionaire who told me that a person's dream can turn into a nightmare if he cannot manage his cashflow. His nightmare can in turn be someone else's dream come true. He was referring to over-leveraging, especially in the property market. If servicing your home loan requires 80 per cent of your disposable income and daily expenses take up the rest, would you be able to continue with mortgage payments should you suddenly lose your job? Avoidance of over-leverage applies to all types of investment. Patience is a virtue. Time in the market is more important than timing the market. Most contra players in the stock market lose money because they have to get the direction right within a specific timeframe; that is like fighting two wars at the same time. However, someone with a longer investment time horizon can have the luxury of waiting for their investment to bear fruit. Think of Warren Buffet, who has held Coca-Cola stock since 1988. Diversification is a must. Different financial instruments carry different risks and rewards. The correlations of equities, bonds, hedge funds and commodities are quite low when packaged into a portfolio. In general, with the exception of last year, these instruments do not go up and down together. Therefore, in a market collapse, you should find some protection in a diversified portfolio that has some of the mentioned asset classes. Profit-locking is paramount to long-term success in investment. One of the world's most prominent hedge funds adopts this strategy conscientiously. An investor should set a goal of locking in at least 50 per cent of his profit every year. I have seen too many cases where a client's investment profit went up substantially, only to have the paper profit evaporate totally in a down cycle. There is a common belief among some that one should always stay invested regardless of what happens to the external environment. I do not fully subscribe to this view as there is a season for everything. It is wise to stay invested but the asset allocation should be adjusted to suit the investment climate. There are times that we should be fully invested and there are times to have more in cash. There is nothing wrong with holding cash even though deposits are not paying much. When asset prices fall, the same amount of cash can buy more - this is like having a higher return. If things still don't go well despite adopting the above guidelines, remember that money has four legs and we have only two; money runs much faster than we do. Therefore, one must save and invest regularly. An investment that yields inferior returns for a period of time is better than not having the discipline of putting aside a fixed sum for savings or regular investment. Summing up, having the right mindset towards money management would help us stay focused on accumulating for the long term and handle market volatility with relative ease. Believe in what you are doing and stay determined in following through on your plan. Recommendations on India are being cut by investment strategists because of it risk a "tactical correction" as investors have failed to price in the effect of rising interest rates and inflation. Inflation was fairly flat last month. However there is predictions that inflation rate will be 4% this year and it will increase by 1.2% to 3% next year. The higher inflation is due to the recent run-up in food prices. Another factor will be higher electricity tariffs and it is expected to increase in April. It is ironic. 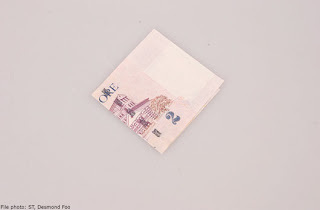 Singaporeans who are uncomfortable with taking financial risks and who prefer to leave their cash untouched in savings deposits are in fact taking a big risk by not protecting themselves against inflation. The continued rise in the cost of goods and services is a clear indication that inflation is creeping up on everyone and eroding the value of their money. For instance, a movie ticket cost $1 in the early 1970s. Fast forward to today and a weekend movie outing will set you back by $10. If you are one of those risk-averse investors whose money is mainly in bank deposits and you think you are 'playing safe', think again. In the long run, your savings will actually shrink and you could become poorer, not richer, because of inflation. If your money is sitting idle in a bank and earning interest that is lower than the rate of inflation, you are not making it work hard enough for you. Over time, your nest egg will be eroded by inflation. For instance, if the inflation rate is 5 per cent and your fixed deposit is earning 1.2 per cent, you are looking at a shortfall of 3.8 per cent. What triggered this spike in inflation? Mr Joseph Chong, the chief executive of financial advisory firm New Independent, pointed out that the current bout of high inflation is concentrated in energy, especially crude oil and food. He said that under-investment in oil exploration and conservation in the 1980s and 1990s when crude oil fell to US$10 a barrel led to a lack of supply as demand kicked in from a strong global economy. 'In order to diversify away from crude oil, the United States doled out big subsidies for farmers to produce ethanol from corn. 'Acreage previously used for food and feed production was converted to ethanol production, which created a food supply squeeze,' he added. How does inflation affect your purchasing power? You should factor in the impact of inflation on your purchasing power when you lay out your long-term financial goals. If not, you will underestimate the amount that you need to set aside to save or invest in order to achieve your desired standard of living upon retirement. Mr Stanley Sim, the financial advisory manager of New Independent, worked out that in just 20 years, inflation of 2 per cent a year would reduce $10,000 to $6,676 in terms of purchasing power, which translates into a loss of 33 per cent in monetary value. If inflation reaches 5 per cent, it will reduce $10,000 to $3,585, a loss of 64 per cent in value. Many people in their 50s may use their Medisave on smaller expenses, not anticipating what could befall them in the future. What happen if in 20 year's time and you are really very sick? You will regret you have used all your Medisave. 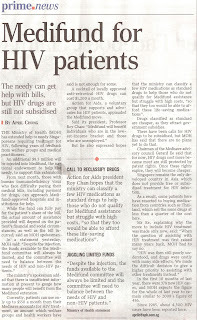 Medisave can still be used of screenings but we should keep Medisave for the right purpose, and not wipe it out. DEAR readers, I am offering six tips on investing in 2010 to help you navigate the world of finance as a smarter investor. This is the oldest trap in the book. We think you'll find at least one 'too good to miss' investment in 2010. Perhaps you will be enticed with, say, 30 per cent returns, or the argument that 'everyone is doing it'. Of course, there is usually a catch. The returns may be over-optimistic, or have unexplained risks that may not surface till years later. High returns are not impossible and can be obtained through leveraging - but the downside risks are also leveraged. Property is a classic example of the effect of gearing. For example, you could buy a condo for $1 million and borrow $0.8 million. If the property gains 10 per cent, then your gain on your $200,000 investment could work out to close to 50 per cent after borrowing costs. But you must not overlook that your risk on your investment is not straightforward property market volatility, it is at a greatly amplified level due to leveraging. Being wary is a good tactic. Salient points of an investment could be exaggerated, selectively presented or misunderstood by sellers. 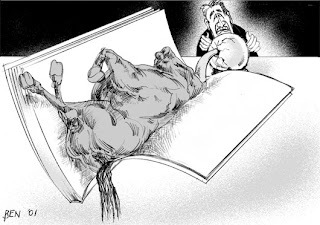 Mouth-watering past returns could be the result of selection bias - meaning you only get shown the good results, and the bad results are conveniently dropped. Any investment that sounds too good to be true, probably is. However, on the flip side (there always is), we are quietly confident that the average house price will improve in 2010. Why? 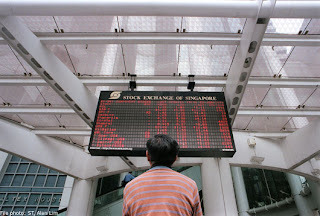 The stellar performance of the stock market in 2009, rising consumer confidence, an improving labour market and the increasing positive impact of the integrated resorts on the Singapore economy and tourism sector. While unanticipated events could put a damper on the gains, such as large rises in mortgage rates, or global economic setbacks, we expect property to put in a strong performance in 2010. Even if we accept that prices of stocks (or oil, or gold) eventually tend towards fair values, large and persistent market bubbles and slumps occur regularly. Over the short run (for example, the 12 months of 2010), there is a huge random element affecting the outcome of complex systems such as an economy. Whatever the mechanisms, there is no foolproof way to explain (let alone predict) market movements. So take all the 2010 market and economic forecasts you read with a heap of salt - most of them will be wrong in some way, and the ones that are spot on will probably be due to luck. A typical 12-month fixed deposit (FD) promises you around 0.45 per cent at the moment. Although FD rates may gradually move up as global monetary tightening pressures are felt, they still look paltry. 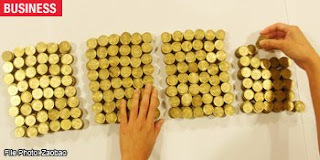 When money market funds are averaging around 1.4 per cent (LionGlobal SGD Money Market) and one per cent (Phillip Money Market), it's a fairly reliable forecast to say that such funds will be better places for your cash in 2010. 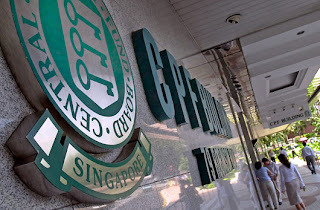 The CPF Board announced recently that members will continue to receive at least 4 per cent interest on a portion of their savings until the end of 2010. In terms of risk and reward, it's hard to beat anything (in SGD) that offers 4 per cent with no volatility. So we predict that this will be the best risk-adjusted return in 2010. If 2010 turns out to be a great year for stock markets, then it's safe to say that there will be a wave of overconfidence building up. Shares or commodities always look great during a bull run, but it's easy to forget that the downside risks are still high - and arguably get higher as markets reach new peaks. Trends are very hard to predict ahead of time and most investors don't spot a profitable trend until it has already happened and is on the verge of collapse. Many people lost considerable wealth during the dramatic market sell-off. People do not learn from past crises. Investors have a short-term investing mentality and they are still chasing the next best idea or fund. They need to learn to diversify and stay in the market. Example of a customer whose idea of diversification is to split his investable amount of $50,000 into different China funds, something which is deemed risky as the investment is concentrated in one country. Investors wanted higher returns thus many decisions were based on short-term market views. These views could be as short as a few days or weeks, whereas frequently the investment vehicles would have a longer tenure. Often, the only investment strategy seemed to be to generate returns. This led to a lot of ill-considered portfolios which appeared fine while markets were going up, but suffered considerably when correction happened. Even when markets started to recover from March of last year, many investors remained on the sidelines and did not benefit from the substantial rallies. These were the ones who had become influenced by fear and who had therefore become much more risk averse in their investment decisions. Uncertainty is stopping them from making good investment decisions. There is a way out which is, investing regularly rather than in one lump sum. The rationale is that if one is regularly investing during a financial crisis, the cost of entry is lower and investors can accumulate units at lower prices. This will augur well for them when markets eventually rise. But it all boils down to the basic. Taking more time to understand client’s investment experience and needs; educate clients on the potential impact of their decisions with more emphasis on the total portfolio; and developing longer term investment goals. Investors must take time to better understand their emotions as investor. Too many were all too willing to ignore risks when markets were rising, but quickly scared when they turned downwards. Investors who have clearly understood their investment goals and who have allocated funds accordingly are less likely to be panicked out of markets at the lower levels. The tale of this old couple sums it up well. An old farmer and his wife lived in a low-lying area when rain started coming down heavily, making their road impassible. The forecast was for continued rain and severe flooding, and one of the townsfolk came by in his four wheel drive pickup truck and offered to take the farmer and his wife to higher ground. "No thank you" said the farmer, "the Lord will provide for us." A few hours later the water had reached the farmer's front porch, and the local sheriff came by in a small boat and offered to take the farmer and his wife to safety. The farmer again refused saying, "Thank you Sheriff, but the Lord will provide for us." By the end of the day, the water had flooded the first floor of the house, and the farmer and his wife had gone upstairs to stay safe. A helicopter came by, and through a bullhorn the pilot shouted, "Let me take you to safety, before the water covers your house and you drown." The farmer shouted back from the upstairs window, "Go help others, the Lord will take care of us." As the water level went higher, the farmer and his wife climbed out of the roof and prayed for the rain to let up. Soon after, the floodwater washed them off their roof and they were both lost. Standing in front of the pearly gates, the farmer and his wife were shocked to find themselves in front of their maker. In a pleading voice the farmer cried out, "Why did you not save us Lord? We have been faithful all of our lives." In a booming voice the answer came back. "I sent you a truck, a boat and a helicopter and you refused help from all three. What more could I have done?" 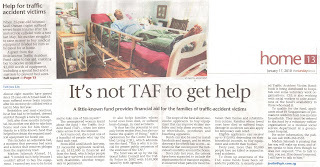 Traffic Accident Fund (TAF)- A little known fund which provides financial aid for the families of traffic-accident victims. It has the potential to not only better enable lives, but also enhance the quality of living as it helps people who survived a road accident with disabilities, whether temporary or permanent. In the end, it all boils down to: Are you well-prepared for the unforeseen circumstances? When something happen, you are not the only one suffering, your love ones all around you are suffering together with you. Plan for the future. Be prepared. Don't procrastinate. It is an insurance policy scheme offered to local and foreign patients by Parkway Holdings to protect patients from the costs of unexpeced inpatient and outpatient fees for complications resulting from commonly performed elective procedures. The reality is that money issues can be one of the main causes leading to arguments between spouses. Marriages can fall apart because of financial stress. 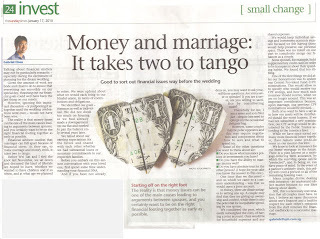 To make marriage and money work, it takes two to tango. Many couples dislike dealing with insurance - an unpleasant subject matter because no one likes talking about death. Still this is a necessary conversation that all couples must have. In fact, an open discussion about one's finances and a healthy respect for each other's opinions from the start removes the financial roadblocks to a successful marriage. Cancer not only takes a toll on a child's body but is also emotionally devastating for the family. Many people make mistakes when choosing and working with their planners. 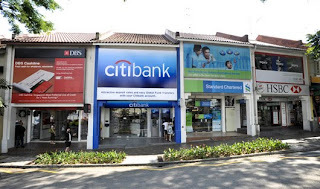 These mistakes are as common with Average Singaporeans as they are with Affluent Singaporeans. However, these mistakes seldom occur with the Savvy people. I know this because many savvy people have effectively built their fortunes and protected their assets by building with the right planner. There are five pitfalls of choosing and working with planners on your financial plans. 1. "If it ain't broke, don't fix it." 2. Never getting a second opinion. 3. Hiring yes-man and women. 4. Not accepting that complexity requires outside experts. Pitfall #1: "If it Ain't Broke, Don't Fix it"
Just because you have worked with the same planner for 10 or 20 years does not mean you should continue to do so indefinitely. If you applied that logic to medicine, you would still see your pediatrician long after you turned 18 years old. There is a high likelihood that, as you have accumulated wealth, your needs have changed. Though your planner was there for you when you have simpler needs, you are not required to stay with that advisor when you have outgrown the planner's or firm's capabilities and expertise. When you consider the typical pattern, this is not surprising. People choose their planners when they are just starting out. People may need some life or disability insurance, or critical illness insurance. Working long hours and without the means to evaluate a planner, they typically do what other busy people do and take the path of least resistance. They use the planner their parents use. Though this unscientific approach is obviously flawed, it serves its purpose when there are bigger challenges at hand (like 20-hour work days). When life is so hectic people feel they just need to make a decision quickly. Often the only criteria people use when choosing their first planner is competency and affordability. Like triage nurses in an emergency room, they do not have to be top-trained specialists when all that is needed are some basic stitches. This approach is quite understandable. What is so alarming to us is not this initial choice of planner, but the fact that most clients stay with the same planners who handled their initial financial planning for the rest of their careers. The typical justification for this is rarely anything concrete or acceptable. Answers like, "We have been together so long, I'd hate to change now," or "If it ain't broke, don't fix it," are unpersuasive. Further, this begs the questions: "How do you know it ain't broke if you don't get a second opinion?" 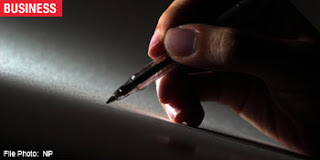 Most alarming is when a person stays with a planner when the person has clearly outgrown the expertise of the planner. A good way to grade your existing planners and test the competencies is to get a second opinion. Good planners are busy helping clients like you. Of the flaws discussed here, never getting a second opinion is the most damaging. Unfortunately, it is also the most common. it is most damaging because a second opinion is the primary way of identifying planning mistakes or noticeable omissions from your planning. Just as good physicians encourage patients to get second opinions, good planners should encourage their clients to do the same. This is the only way for you to adequately judge a planner's performance. If your life were in jeopardy, wouldn't you get a second opinion? Isn't your financial life important as well? Find experts, don't look for yes-man and hire people smarter than you are. The very successful ones realize that they can't be experts at everything. Some rightfully believe that they could focus on finance and probably be just as skillfull as some of their planner. They also realize that it would take many years to achieve that level of expertise. To leverage their time, they choose to hire experts to work for them. Are you having enough of yes-man in your live. Interestingly, some people cherish the moments when planners stand up to them and challenge their position or question their decisions. They see this as an opportunity to improce their position. Some even enjoy the challenge. If you needed a stent put in your aortic valve, you would not go to a general practitioner. Moreover, you would not consult with any specialists outside of cardiology. In fact, you would not even settle for seeing a regular cardiologist. You would seek the help of an interventional cardiologist to handle this procedure. The point is that medicine is highly specialized. If you have a specific issue, you want a physician properly trained and experienced with that particular issue. Seeking a specialist to help you with your health concerns may be obvious. However, people completely ignore this lesson in the area of finance. How prepared are you for your retirement? You have goals and dreams for your golden years – travel the world, buy a holiday home, purchase new wheels, start a business or even dedicate your time to volunteer work. The foremost question is: where do you start? The quality of life you want in the future will depend on what you contribute in the present. Depending on the lifestyle you wish to maintain, you should consider building retirement income that is 60% to 80% of your current income. According to the HSBC Future of Retirement Global Research Report 2009, an alarming 91% of Singaporeans do not know what their retirement income looks like. In fact, only 9% of the survey respondents currently feel well-prepared for retirement. Their feeling of unpreparedness could be attributed to a lack of understanding about their long-term finances. A recent HSBC survey reveals that 59% of Singaporeans believe retirement means being debt free while 41% believe it means taking vacations. Despite this, a majority only plan to save $100 – S$200 each month for their retirement between the ages 30 – 70. That means they will have less than $100,000 for their retirement (assuming they do not touch their savings at all). The survey also reveals that in the current economic climate, 31% felt that the most important measure to take during this financial crisis was cutting back on big ticket items and spending frivolously; while a mere 11% plan to increase their rainy-day/retirement savings. 48% see the need to purchase some form of savings account (high interest savings, cash savings, current/checking account), for their long term plans. One quarter does not believe in purchasing any form of insurance at any point of their lives. While 61% said they are fairly well prepared about making decisions for their long-term finances, more than half (60%) have never had proper financial education. Certainly, the future of retirement does not look bright for a nation facing the problem of an aging population. 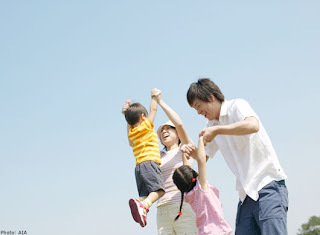 In this year, the number of dependent adults in Singapore is expected to surpass the number of dependent children. In view of the future of retirement, the World Bank has instituted three pillars that encompass a country’s total pension provision: the state, occupational and the individual. There are no retirement payments by the state in Singapore. The presence of the Central Provident Fund has seen efforts focused on one occupational pillar. The mandatory provident scheme provides coverage to 65% of workers through replacement income is low. However, the contribution rates have risen over time. Added to that, there are no provisions for personal retirement savings. Hence, the need to take charge of one’s financial future has never been more compelling. Given the responsibilities people now face in planning for their retirement, the lack of financial education and guidance could become a major impediment. That’s where you need a trusted advisor to help you look at the bigger picture and chart your future financial path. Probably not. A good guideline is that you will need to sock away 12 times your annual salary by the time you retire. A guy earning $60,000 a year will thus need to save $720,000 by age 62. And the average employee is not on track to hit that goal. If you’re not saving, you’re totally screwed. For people who don’t feel equipped to pick the right mix of funds, a target-date portfolio is recommended. You can tell the fund company when you will retire, and it adjusts your portfolio to more conservative investments as you approach nirvana. It is often said that we lose our health making money, and then lose our money to restore our health. My take on that is: Not if you have adequate medical insurance. Prior to the surgery, my mum was, for weeks, complaining of hip and leg pain when she stood or tried to walk for more than the distance between two bus stops. She was diagnosed with degenerative spondylolisthesis, a condition that disproportionately affects individuals over age 65. In other words, she was suffering from a degeneration of some sections of her spine. Spinal fusion surgery was recommended and, on April 29, she underwent a five-hour operation at NUH. In all, she was hospitalised for five days in a Class A1 ward. In case you have not heard, it is possible to be hospitalised and not have to pay a single cent from your pocket or Medisave account. Welcome to the wonderful world of private Shield plans. These are hospitalisation plans offered by insurers that can be funded from one's Medisave, subject to an annual cap of $800. # Lifetime cover: Most private Shield plans offer lifetime cover, whereas MediShield cover ceases when one turns 85. # As-charged feature: Almost all private Shield plans offer this feature, which removes the benefit limits on the amount that can be claimed each day for hospital stay and procedures. This means hospitalisation expenses will be paid according to what is billed. In contrast, traditional plans come with specific sub-limits, such as specified dollar benefits for room and board. Of course, you are still subject to the plan's deductible and co-insurance (unless you have a rider), and annual limits. What then, is an appropriate level of cover? It's quite simple. Buy a plan that matches your health-care expectations, provided you can afford the premiums. So, if you expect to stay in a class B1 ward, then buy a hospital plan with B1 coverage. In my mother's case, her plan is an Enhanced Incomeshield Advantage plan, which means it covers Class A wards of government/restructured hospitals such as NUH. She could have opted to be hospitalised at a private hospital, but her insurer, NTUC Income, would then pay up to 65 per cent only of the hospitalisation bill. Bear in mind that premiums rise as you age. So, it is important to ensure that you have sufficient money to fund future premiums so as to prevent policies from lapsing. I believe it is wiser to buy a higher-class plan now while I can afford it, with a view to downgrading to a lower plan when I am older and premiums are higher. All Shield plans come with deductible and co-insurance features. The former refers to the first layer of charges that the policyholder has to bear. Depending on the type of plan, the deductible is typically about $2,000 to $3,000. The co-insurance feature means that the policyholder shares part of the cost of the bill, usually 10 per cent over and above the deductible. Some insurers provide 'riders' that cover either one or the other feature. You can use only cash to pay the premiums. In the case of Income, it no longer offers the 'Plus rider' to new policyholders. In its place is the 'Assist rider', which covers the deductible. This leaves the policyholder to foot the co-insurance portion, which is capped at a specified amount depending on the type of Shield plan. In the case of my mother's Incomeshield, it also covers the costs incurred during her outpatient visits to the hospital three months before and after the hospitalisation. Many people hold off buying private Shield plans because they believe that they are adequately covered by their employers. That's a very short-sighted view. Such covers are usually not portable, and there will come a day when you will leave your employer. Also, as you grow older, you may develop medical conditions and it is very difficult to find an insurer who will cover you once you have them. So, insure yourself adequately while you are still healthy. My whole family, including my two children, are insured with private Shield plans. My daughter now calls my mother 'bionic grandma' because six titanium screws and three rods have been permanently implanted in her to stabilise her spine. Bionic or not, having the right dose of health insurance certainly pays off, and it is small change when we consider the peace of mind it provides. 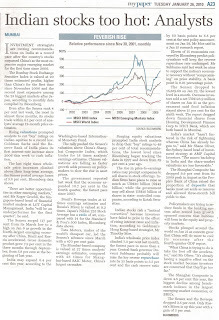 This article was first published in The Straits Times on July 20, 2008. 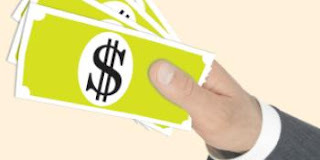 Money is the number one of source of stress for men, way above health, relationships, and terrorism, according to a Harris poll conducted. This is no surprise as your portfolio is shrinking every month, inflation is draining the dollars out of your wallet. No wonder the needle on your tension meter is pointing to full count, two outs, in the bottom of the ninth. Stress prevents you from being top of your game. After all, when you feel stressed, you will have trouble solving problems that are causing your anxiety in the first place. Actually most financial worries actually have straightforward solutions. Not to say that they are easy to fix – they are not. But once you see the path clearly, once realize there is a solution, the tension will melt away. And that frees you up to attack the problem with all you have got. Am I going to lose money to inflation? Only if you let market turmoil scare you into making bad decisions. 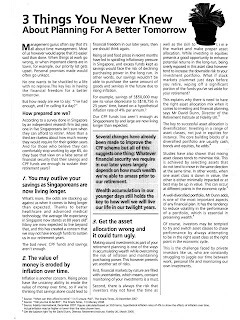 While you may howl in pain every time you see a grocery bill or the numbers on the petrol pump, the really nefarious effect of inflation is what it can do to your nest egg. With such low interest rates with banks, your real return on this “safe” investment is actually less than zero, after taxes and inflation. This is the rare financial problem that has a fairly black-and-white solution. It does not matter if you have a family or not, but if you have a family that relies on your income, you will need insurance even more. The more complicated question is how much insurance do you need? First, add up the assets you will leave behind. Second, estimate the obligations you want to cover – the mortgage and child care, for instance. Subtract those obligations from the value of your savings to figure out how much insurance you need. Will I be get hit by a car and become disabled? Disability causes many more financial problems than premature death does because it’s more common, fewer people have adequate insurance, and it’s more costly. Let’s face it: Dead men don’t need incomes. But if you are disabled, you do. There are three key factors to consider when choosing a policy: How much does it pay? How long a period does it cover? And how does it define disability? The answer to the first question depends on your family’s needs. As for duration, a general recommendation would be a policy that will pay you until you are at least 65. Will my children blow their inheritance in the upcoming IR? Teens nowadays should be able to buy anything they want and some have the thinking that “I deserve to be rich because my parents are rich.” To inoculate your children against Paris Hilton syndrome, start early. Experts recommend giving children and allowance to teach them how to save, budget, and spend within their means, regardless of your income. Give them opportunities to practice with smaller sums of money and even make mistakes in the process. If you still worry that your kids will inherit more than they can handle, set up an irrevocable trust to hold the assets when you die. You can stipulate that they cannot touch their inheritance until they finish university or reach a certain age, or even that they must use the money to, say, buy a home or start a business. If that seems like too much parenting from beyond the grave, appoint trustees to disburse funds. Naming your kids as co trustees will encourage them to learn money-management skills. How do I tell my wife we’ll be retiring without a house unless she lays off the gold card? Couples can go on a mental shopping spree and create a wish list, with each person writing down the future events that he or she is most excited about, whether it’s vacations, home improvements, paying for university fees, or getting chin implants. “Why?” Because people need a carrot tied to the end of the stick. If you don’t know that your goals are, there’s nothing to work toward. If you do it right, you will both be excited about brainstorming ways to achieve your financial goals, but the real magic of this exercises is that it makes you partners, not adversaries. One in five Singaporeans isn't sure when they can afford to retire. More than a thrid are clueless about how much money they would require for their golden years. Are you one of them? Do you have the false sense of financial security that your savings and CPF funds are enough to substain your retirement years? 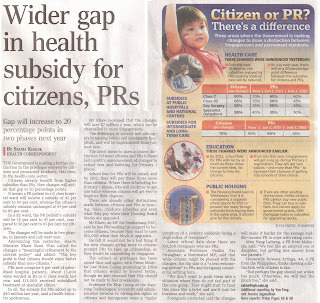 Our CPF funds and savings aren't enough as Singaporeans are living longer than expected. To make things worse, our savings wouldn't be able to purchase the same amount of goods and service in the future due to rising inflation. Investment as part of retirement planning is one way in accumulating wealth while overcoming the risk of inflation and maintaining purchasing power. There is a need to have the right asset allocation mix when it comes to investing and financial planning to prevent your retirement funds from being wiped out if stock markets plummet just days before you retire. An additional $8.5 million will be pumped into Medifund and starting from next month people can approach Medifund-approved hospitals and instituations for help. Please refer to article for more information. THE markets for most risk-related trades, from equities to oil to commodity currencies, are likely to push higher in the first quarter on ultra-low interest rates, still ample liquidity, and continued economic recovery. 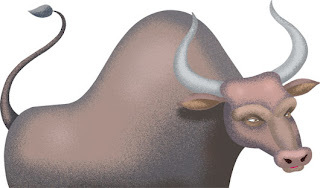 The key factors that are likely to determine whether the rally continues in 2010 include economic recovery, liquidity, interest rates, corporate earnings and valuations. To date, the economic and earnings recoveries generally continue to meet market expectations. Liquidity continues to be supportive of asset prices. Ultra-low interest rates continue to be an important driver of 'sidelined' liquidity out of money market funds and bank deposits into risky asset markets. Valuations for global equities, using the MSCI World index as a proxy, have yet to reach 'mid-cycle'. But there are wide regional differences, with Asia ex-Japan valuations entering 'late-cycle'. Investors need to be particularly agile this year. Entering 2010, asset markets are likely to continue where they left off in 2009 - that is, the rally that started early last year is likely to push higher. But this will be a more difficult year than the last, simply because huge gains have already been made and a lot of good news has already been priced into markets. Over the course of 2009, corrections have been shallow, in the region of 7-9 per cent. It was largely a one-way ride on the liquidity tide. Investors will need to be more agile this year. Eventual exit from stimulus, monetary tightening and policy actions will be key market concerns in 2010. The 'paradox of recovery' - that is, the observation that equities returns tend to be greatest at the early stages of economic recovery and they tend to ease as economic recovery gathers momentum - suggests that gains are likely to be hard fought in 2010. • Equities are likely to push higher early in the year but they face the growing threat of a significant correction some time later in 2010. Concerns are likely to grow over valuations, fading fiscal stimulus, and slowing money supply growth. 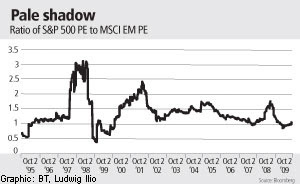 • Emerging markets are likely to remain the destination of choice for international portfolio flows in 2010 and beyond. But valuations will look increasingly stretched vis-a-vis global benchmarks as we progress into the year. And any significant correction in global equities will almost certainly cause more damage to higher beta markets. 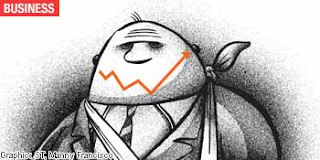 • Investors need to be discriminating within the emerging markets. We continue to favour Asia ex-Japan for its generally strong fundamentals, and Brazil for its commodities exposure and strong domestic demand. • Any significant correction in global equities will represent another opportunity to buy back into emerging markets, particularly Asia ex-Japan. Their stronger economic fundamentals should manifest themselves eventually in outperformance after the expected correction. • Infrastructure spending in Asia ex-Japan and other emerging market economies will continue to offer long-term opportunities. • Corrections will also offer long-term opportunities in emerging market consumer plays as global rebalancing proceeds - with consumption expenditure expansion in the East playing a greater role in supporting global growth. • Strong economic growth in emerging markets should provide support for commodities, with corrections likely to be shallow even if there is a general pullback in risk appetites and risky asset prices some time later in the year. Our preferred exposures are copper, lead and oil. • Temporary US dollar strength will offer diversification opportunities for those with large exposures to the dollar. There could be some weakness in precious metals on US dollar strength, reopening buying opportunities for long-term investors in precious metals. We like platinum as an alternative to gold. As risk management, investors should consider taking profits off emerging market and Asia ex-Japan equities where the gains from the cyclical bottoms of late 2008/early 2009 have been massive. Asia ex-Japan led the economic recovery, both in timing and the size of the rebound. And Asia ex-Japan is likely to lead the rate hiking cycle, with rates possibly moving up in China, India, Indonesia and South Korea as early as this quarter. The economic recovery in the US has come later and is more modest. And the Federal Reserve is unlikely to raise the Fed funds target rate before 2011. In that sense, the US is likely to remain in the 'sweet spot' between economic recovery and rising interest rates for much longer than Asia ex-Japan. Valuations and likely currency moves favour a switch in relative outperformance. Forward price to earnings valuations for both the S&P500 and the Nikkei 225 have bottomed relative to valuations for the MSCI Emerging Markets and MSCI Asia ex-Japan indices. And, indeed, they have been turning around. Currency dynamics are also likely to favour outperformance by the US and Japanese markets vis-a-vis emerging and Asia ex-Japan markets - that is, the dollar rebound of recent weeks is likely to continue through Q1. And recent correlations suggest S&P500 outperformance against MSCI Emerging Markets during bouts of DXY (US dollar index) strength. In a similar manner, we are expecting the yen to weaken relative to the dollar. The Nikkei has been trading correlated against dollar/yen. Policy rates appear to be at rock bottom and government bond yields are similarly likely to be at cyclical lows. The balance of risk for rates and yields is towards the upside. As markets move to pre-empt rate hikes, we expect flatter curves. 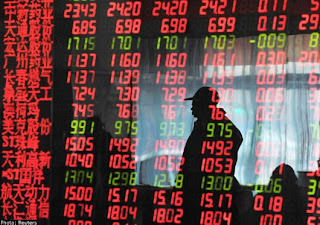 Asian economies experiencing domestically led recoveries will be the first to raise rates. Ultra-low risk-free yields in the developed economies are likely to continue to push liquidity into corporate credit. Although corporate credit spreads have tightened dramatically over the past 12 months, they are likely to continue to tighten as the credit markets continue normalising, albeit at a much more moderate pace. In commodities, demand for crude oil is picking up and crude inventories are starting to fall. This trend should continue and provide support for crude prices, as the global recovery gets underway. We expect a rebound in the dollar in H1, which would create significant headwinds for crude prices. But towards year- end, we expect crude oil to average US$88 per barrel. Investing in gold has become increasingly compelling as a result of central bank buying and a structural increase in demand for gold as an investment at the retail level. However, upside is likely to be capped over the next 12 months by lower jewellery demand and increased scrap availability as gold prices push higher. Some dollar strength which we anticipate in H1 should also drag on gold, but we expect prices to move higher to average US$1,300 per ounce in Q4 once dollar weakening resumes. Platinum is well supported by the gains in gold, as well as supply issues including rising costs and a vulnerable power grid in South Africa. There are also upside risks from the launch of a US ETF and restocking in the automotive sector. We expect platinum to outperform gold in 2010. Platinum is currently also trading at a much smaller premium to gold than in the recent past. You want an executor who would be likely - by reason of age or health - to outlive you. Executors should be able to effectively administer the estate and liaise with the beneficiaries, said Mr Adrian Wee, director at law firm Characterist. So weigh up his educational level, ability to understand legal matters pertaining to the estate, relationship with likely beneficiaries and the level of trust between both of you. It is important to establish whether the property is capable of being bequeathed by way of a will. For example, real estate held in joint tenancy cannot be disposed of by way of a will and instead passes automatically to the surviving joint owner or owners, said Mr Wee. And unless a gift of a specific piece of property is desired, it is usually simpler to express the distribution in terms of a percentage of the whole estate. This is because if the will provides for a gift of a specific property, it will be extremely difficult to trace the proceeds of such a sale, if it had been sold by you later in life, and to ascertain whether the beneficiary should be entitled to the proceeds. Take care when including overseas property as the law in that country will apply. It is always prudent to ask a foreign lawyer first whether that property can be distributed by will in the way intended, advised lawyer Amolat Singh from Amolat and Partners. Sometimes a person may not want to give anything to his wife or a particular child. Or you could provide a nominal sum - $100, for example, said Mr Singh. This eradicates a possible challenge by ABC claiming that he was unfairly left out of the will or that there was pressure from some quarters to cut him out. A will has to be signed in the presence of two independent witnesses who are above 21. Witnesses cannot be beneficiaries in the will, said MsLim Choi Ming, partner at KhattarWong. If a will has to be made while you are in a hospital or a hospice, get the doctor to be one of the witnesses so that any challenge to your mental capacity can be eradicated. Muslims must take note that they are not free to distribute their property as they like and they must comply with the provisions of the Administration of Muslim Law Act, said Mr Singh. Ms Ang Kim Lan, director at Goodwins Law Corp, suggests that you review your will every three to five years or if there is a life-changing event such as a marriage, divorce or birth of another child. Note that wills are invalidated when a person marries, so a new will must be drawn up. AS SAFE as houses, the saying goes. Well, not really. Many things could go wrong after you buy your dream home. The place could go up in smoke or burglars could strike. Or worse, the main breadwinner could die, leaving a mortgage that has not been fully paid. You do not have to be mired in gloom to consider these possibilities. The smart thing to do is to take sensible safeguards to ensure that if unexpected events do strike, you will be covered financially. After all, the purchase of a property involves a big sum of money and is a long-term financial commitment. The best way to protect yourself is to transfer the risks to insurance firms, which have a variety of policies that provide coverage at affordable premiums. Banks require home owners to take out property or fire insurance when they grant housing loans. They want to ensure that the value of their collateral - the insured property - is not jeopardised in the event of fire or other perils that can be insured against. The proceeds are meant to pay for the outstanding loan balance in the event of a total loss and the owner ceases to service the loan. For condominiums, the management corporation would have arranged a fire insurance policy against fire and various perils, for the common areas and structural building. However, this coverage is normally for the building only and typically does not cover your renovation, contents and so on. For example, the risk of loss or damage due to burglary might not be covered. For HDB home owners who take a mortgage loan with the Housing Board, the latter offers a basic fire insurance scheme that does not cover contents and renovation costs. Society of Financial Service Professionals president Leong Sze Hian says the low premium of about $60 for five years for the HDB basic fire insurance scheme covers only the foundations, which include the walls and bare floors, as well as standard fixtures and fittings. Singapore Insurance Institute president Stanley Jeremiah says that many home owners believe they are adequately insured as long as they buy a fire policy. 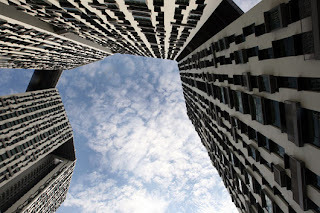 This is an illusion especially for home owners of new HDB flats, which are usually sold largely bare with just a few fixtures and fittings such as windows and doors. 'People live under the illusion that they are insured when they are not. This is because they have not included the improvements made to the property, for example, kitchen cabinets. HDB flats come fairly bare, so home owners tend to do extensive renovations after the purchase. 'The improvements are a big part of the overall costs, which are not accounted for in the fire insurance cover,' says Mr Jeremiah. The rule of thumb is that the sum insured should reflect the cost of rebuilding or reinstating the insured property to its original or pre-damage condition, says the General Insurance Association of Singapore (GIA). The association's website www.gia.org.sg provides a replacement cost table based on the gross floor area and the type of development for private residential developments. It can be used as a guide for estimating the sum to be insured. If the policy has an average clause, it means that in the case of an underinsured property, any claims payout in the event of a loss might be pro-rated. For example, assume that the condo is insured for $200,000 and that the cost of reinstating the unit in the event of total destruction is $300,000. If the condo was damaged by fire and requires $60,000 in repairs, the claims settlement would be $200,000 divided by $300,000 multiplied by $60,000 - so the amount payable would be $40,000. GIA president Derek Teo advises home owners to review the insured amount at least annually or when renovations are carried out. Purchasing more policies does not necessarily mean you are increasing your coverage. This is because if there is more than one property insurance policy purchased, most insurers will indemnify the policyholder on a pro-rata basis for the claimable amount, says GIA president Derek Teo. As a result, the total claim amount is limited to the total cost of the property or reinstatement. Policies typically exclude loss or damage caused by infestations of termites, cockroaches, mice or rats in your home, as well as losses of cash, cheques, stamps or damage caused by terrorism acts. Loss or damage or injuries arising from any dishonest, fraudulent, criminal, malicious acts or omissions are also excluded. NTUC Income general manager Freddy Neo says that subsidence or landslips are generally excluded although some insurers will cover these if you pay extra premiums. Think of it this way: Property insurance typically covers only the shell of your home. Everything inside can be covered by a separate policy - contents insurance. This will protect the contents of the house such as sofas, refrigerators, computers and TV sets against risks such as fire, theft and water damage from burst water tanks and floods. Depending on the wording of the policy, an insurer will replace an insured item in one of two ways. It will be replaced either with a new similar item, or at 'replacement value' - which means the insurer will replace the item with a second-hand one and not a brand-new piece. If you want your damaged item to be replaced with a new similar one, then the sum insured should be enough to pay for it. This is particularly so for luxury items such as jewellery, highly priced art works, antiques and watches, whose prices appreciate over time. For such expensive items, home owners should consider buying a higher level of contents coverage and declare these items separately. 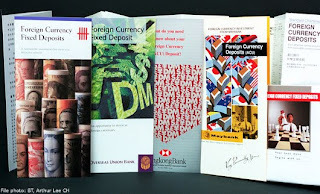 The cover can also be extended to a worldwide basis, subject to conditions. But if the policy is on a 'replacement value' basis, then the sum insured is the second-hand value of the insured item. Insurer Manulife suggests home owners take the time to compile an inventory list of their home contents. Useful information that should be noted down includes the model and serial number, if relevant, as well as the date of purchase and purchase price. These details should be stored in a safe place other than your home. Wherever possible, take photos or videos of the insured items. Home owners might want to consider buying a home policy that includes liability cover to protect themselves against lawsuits. You might need this if, say, your visitor is injured in a fire that occurs at your house or if he slips and falls because your floor is slippery. Not all policies cover mudslides, floods and earthquakes. Home owners staying in low-lying flood-prone areas might want to ensure that the coverage of their policies is extended to include floods. Other coverage to be considered includes protection against loss of use of the home. In this case, a certain sum is provided for the home owner to rent another place while his place is under repair. The same exclusions that apply to property insurance apply here. If the main breadwinner dies or is permanently and totally disabled, the mortgage repayments have to be covered somehow. A mortgage insurance cover provides for a sum of money to cover the housing loan balance if this happens to the insured person. One variation of this is the mortgage reducing term assurance policy, which allows the sum insured to be reduced over the loan duration in tandem with the decrease in the housing loan amount. Decide on the coverage required - the level of coverage, term of coverage and interest rate. This can be based on your mortgage plan. Next, decide if you would like to choose single or joint coverage. Also, your insurance coverage should be proportional to your responsibility for the loan, says Manulife. For example, if you are solely responsible for the housing instalments, you should be covered for 100 per cent of the outstanding housing loan. You can also add in a waiver of premium in the event of critical illness. Mr Leong advises private home owners who take out mortgage insurance policies to take the extra step of 'assigning' the policy to the bank which extended the loan. This is to ensure the full sum insured is used to pay off the loan as not doing so could cost thousands of dollars in estate duty. Many consumers do not realise that if the policy remains 'unassigned', then any sum paid out forms part of the 'moveable estate' of the deceased, and the proceeds risk being subjected to estate duty imposed by the taxman. But if the policy is assigned to the bank, there is no risk of incurring estate duty on the insurance payout, so the full amount of the sum insured will be used to repay the bank for the outstanding home loan. Question: It seems that everyone is nervous about the financial crisis. And I can't help but get nervous too. 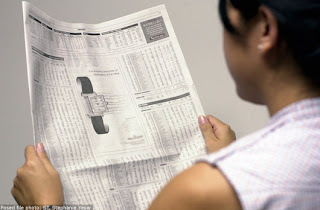 I keep reading in the newspapers all the negative effects of the crisis - people losing their jobs, their homes, companies closing down and the prices of goods going up. Although I have a regular job, I don't have much savings. How can I better prepare for the crisis? - Arlene M.
Answer: One thing good about the current global financial crisis is that it has 'woken up' a lot of people who otherwise have had no thought about financial planning. We all need to manage our wealth well and plan for the future. And there is no better time to do so than now when the economy worldwide is either in recession or in a slump. Our country is no exception. Saving should be a priority for everyone. When we have put away some funds for the future, it gives us a sense of security, knowing that we can rely on something should any unexpected event occur. Financial experts have long been advising people to start an emergency fund, and we advise the same. An emergency fund is a money pot that equals three to six months' worth of your living expenses. 1. To have a fund to dip into when unexpected events occur. When you lose a job unexpectedly, it may take awhile until you get another job. Having an emergency fund will tide you and your family over until you get a regular paycheck again. The same thing can be done if someone in the family gets sick and racks up a huge medical bill, or unexpected expenses have to be met, such as house or car repairs. 2. To reduce reliance on credit. Relying on credit cards or personal loans from banks to pay unexpected bills due to emergencies can be very costly. The cost of borrowing - also called interest - can be as much as 36 percent or more a year. If you have an emergency fund, you won't need to assume any further burden in the form of interest expense since you will have ready funds at your disposal. 3. To be financially stable. Having an emergency fund will keep you in charge during times of crisis. You won't need to worry about meeting the day-to-day expenses while paying for your emergency costs. And you won't have to miss paying your regular bills either. And even if the economy is not doing great, you will be safe. An emergency fund will thus be for your and your family's peace of mind. You mentioned that you don't have much savings. If the amount you have saved so far is not yet enough to cover three to six months' worth of your living expenses, make it a priority to reach this goal. Start by committing to save every payday. Take a regular amount out of your paycheck as soon as you receive it (say 10 to 20 percent) and before you spend it otherwise. Go over your expenses'you may be able to give up an unnecessary expense to increase your deposit for your emergency fund. Put this amount in a savings account which is different from your payroll or checking account. As you deposit regularly to this account over the next few months and years, you will see this amount grow to reach your emergency fund goal. Once you have enough money in your savings account, transfer the money in a higher-yielding account such as a time deposit or fixed income mutual fund or unit investment trust fund. Such investments will enable you to potentially earn more interest while exposing you to a low risk. With your money earning, you will be able to grow your emergency fund more without putting extra hours in your work. 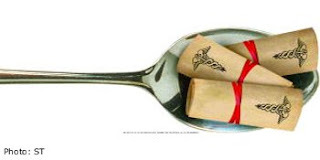 One important thing to remember is to put your emergency fund in liquid investments. That means you should be able to get the money quickly when emergencies happen. Don't invest your emergency fund in things such as real estate or jewelry or fine art as it may be difficult to convert this to cash urgently. Also, don't put your emergency fund in a highly volatile investment such as equities, either by direct investment through a stock broker or through an equity mutual fund or equity unit investment trust fund. Keep the emergency fund accessible and stable as much as you can. In the US, a lot of people have been laid off or have lost their homes as a result of the financial crisis. Those who have taken the time to build an emergency fund are able to continue on with their lives while they are looking for work and picking up the pieces. Those who weren't able to do so are still in for a rough ride, living on welfare and scrimping as credit has also become tight. Let's not wait for the worst to happen before we start an emergency fund. Labels: Financial Planning, Newspaper/Magazine Articles, Why save? Indian stocks, which more than doubled from last year's lows. are likely to rise at a slower pace as valuations become less attractive. "Indian equities could be volatile in 2010, since much of the next six months' projected growth is already in the price," analysts said. Financial Planning is the process of determining how an individual can meet their unique life’s goals through the proper management of his or her financial resources. A good financial planner takes a "big picture" view of a client's financial situation and makes recommendations based on their needs in areas such as budgeting and saving, investments, insurance, and retirement. Ensuring financial independence at retirement age is increasingly in high demand especially when 91% of Singaporeans do not know how much money they will need for retirement. Additionally, retirement planning is even more critical for today’s young investor as it is plainly obvious that relying on CPF alone will not allow you to continue your lifestyle after you retire. My job is to manage cash flow risks as I seek to provide sound risk management and insurance techniques to help you avoid common pitfalls. People simply don’t have the time to really understand the right course of action, the right products for the right time in life. The financial planner’s job is ultimately helping you to manage and attain your dreams. People appoint the advice of a financial planner mainly because of the complexity of many countless financial products on the market today. At the same time, personal life situations affect your financial situation too. For example, how well do you understand the available investment portfolios or a University Savings Plan or do you know how much money you will need for retirement? What are the advantages and disadvantages? What should you do to save for both your children’s education and your retirement? I as a financial planner will determine how you can meet their lifelong financial goals through management of resources. I will constantly examine your financial history, past and current. Then I will study your assets and suggest exactly what steps you need to take in the future if you want to achieve those goals. I need to do this to more fully understand your financial goals. This is because the last thing I want to do is create a plan that might not be in alignment with investments that their client may have undertaken. I will be a good steward of all your financial interests so that I can ensure all ladders are on the right wall. The idea is to identify what is important to the client and what is their personal vision for their life and finances through questions asked that will help to design a successful financial plan. I will make it as interactive as possible so information can flow freely from you, quantifying your financial in terms of assets and liabilities. With all the information collected, I will need to ask you to prioritize your goals. This way I will help assure that, at the very least, the most important ones are achieved. Once I have the information gathered analyzed, I will identify your strengths and weakness so that your situation is comprehensively understood. This includes determining whether there are sufficient resources to achieve the client's goals. In this phase, it is important to identify and have a clear understanding of what those resources are and what shape they are in. Based on the understanding of what you want in the future and your current financial status, I will create a strategy to accomplish your financial goals. These strategy acts as solutions to your needs and prioritized objectives. Armed with a well crafted and though out financial plan, the strategies outlined in the plan are implemented by carefully allocated the client’s resources. The implementation process will be closely monitored by me. To do so, periodic reviews are necessary to check for misalignment and change as well as changes in your situation to evaluate your progress toward reaching your objectives and to decide whether a given plan continues to meet your needs. Any significant departure from your last personal situation could dramatically affect the strategies and goals in the financial plan. This would need to be revised accordingly. By going through the entire process, I will be in a much better position to correctly diagnose your concerns and apply appropriate solutions directly to those needs. BANGKOK LIFE ASSURANCE, "Salesman 3"
BANGKOK LIFE ASSURANCE, "Salesman 2"
BANGKOK LIFE ASSURANCE, "Salesman 1"